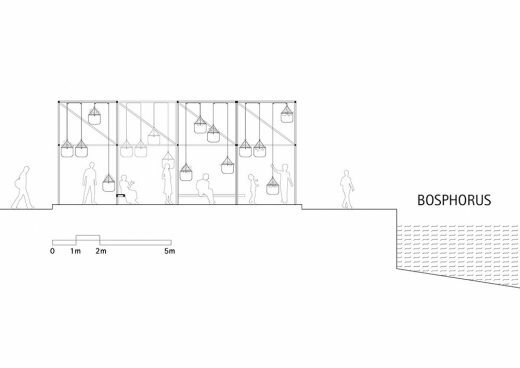 Sky Garden is an interactive suspended garden. 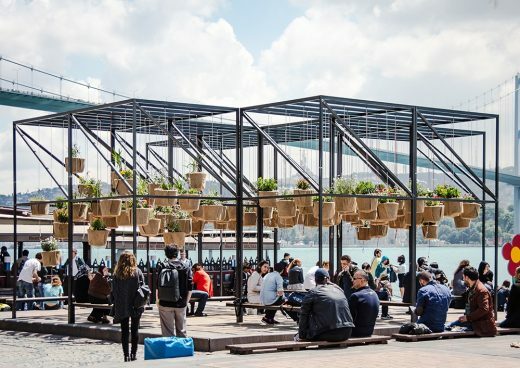 Sky Garden is a suspended garden in Ortaköy Square which is one of the most touristic and busiest squares in Istanbul. Putting a garden on the ground in such a congested area would reduce the walkable surface and make the square even more dense. 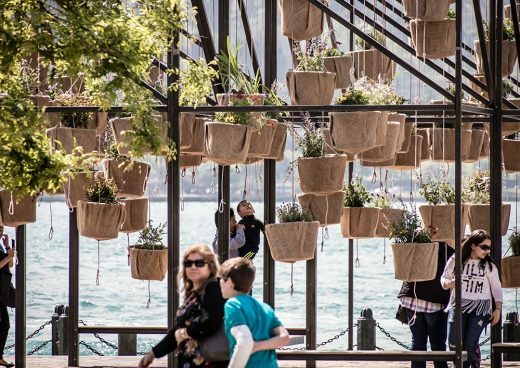 Instead, the designers proposed to hang the garden while keeping the ground still accessible. 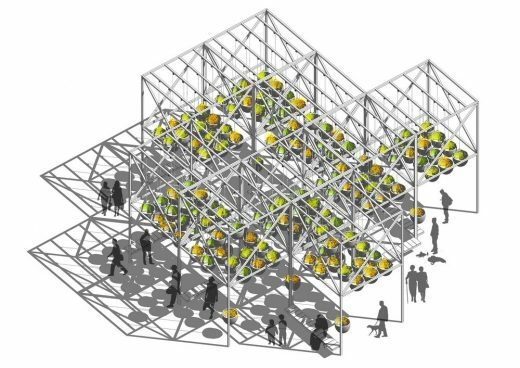 This interactive garden with assorted plants, provides seating and shadow. 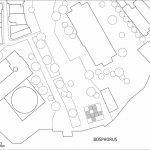 The designers used the existing slab in the square as a base for the new garden which will also serve as a canopy made of pots during sunny days. This garden with assorted plants, provides seating and shadow as well, during the flower festival. 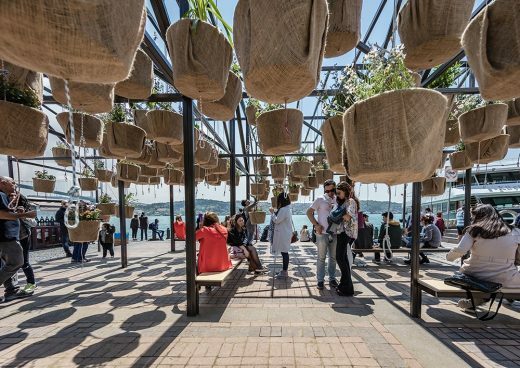 Being suspended, the garden acts as a roof which people can stay under and watch Bosphorus. 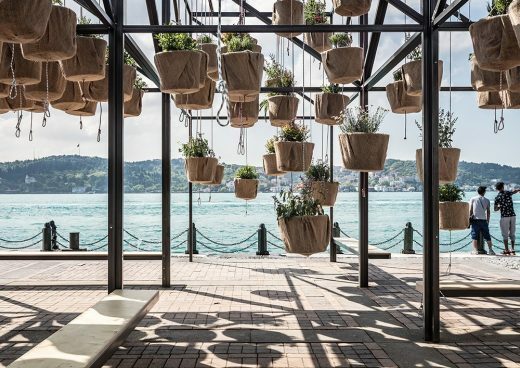 Just like a tree with different branches, the garden flies between the sky and the Bosphorus with each pot, while the pulley system lets the pots go down for a closer look of visitors. 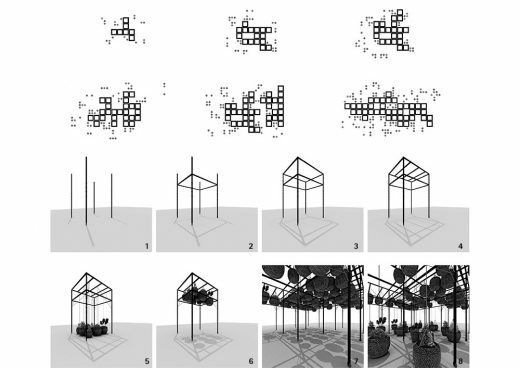 The designers consider public installations as a tool to question the architect’s power over design. 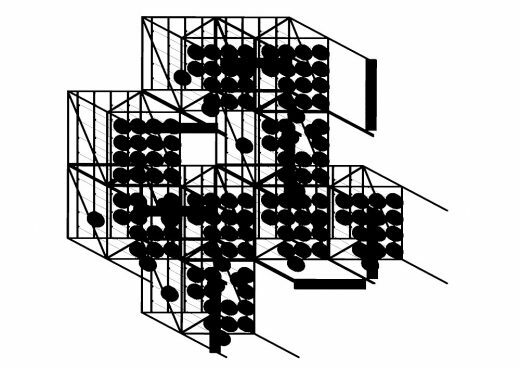 When the visitor is being able to change the installation, architect is no longer able to control the form, up to a certain point. For SO? 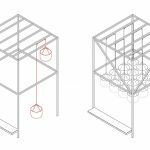 Architecture and Ideas, it is a challenging experience to expand the borders of control even with small gestures like in this project, while the installation urges to transform an established public space. 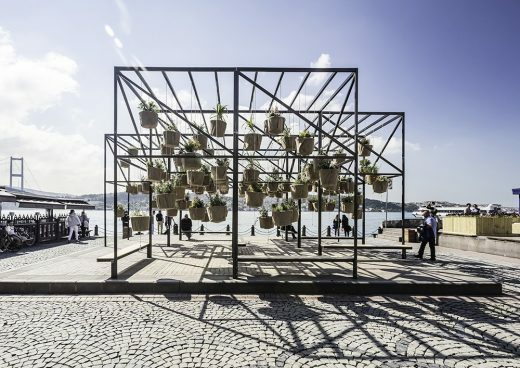 Sitting units are attached to the structure so that visitors can sit and relax under the shadow of the hanging plants. 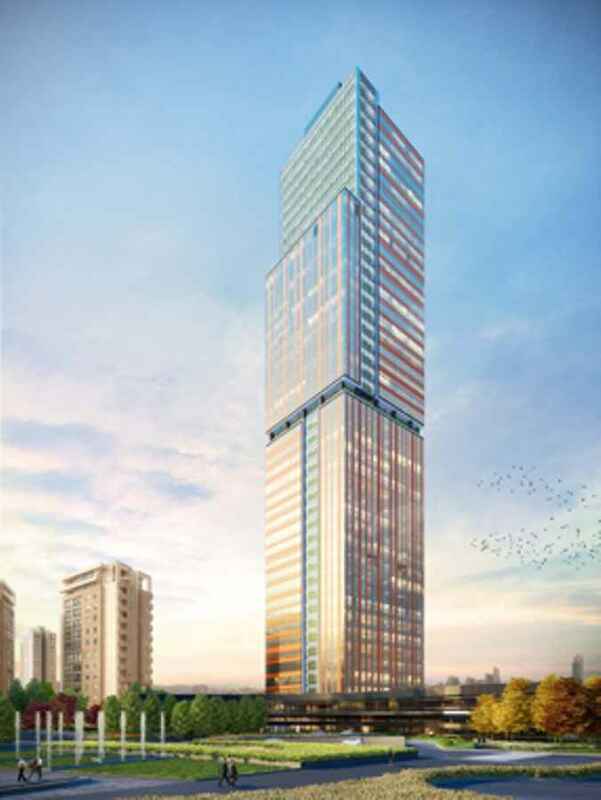 The main module structure is made of 50x50x3mm steel profiles. 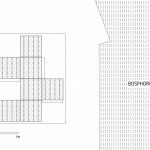 Each module size is 250x250x435cm. 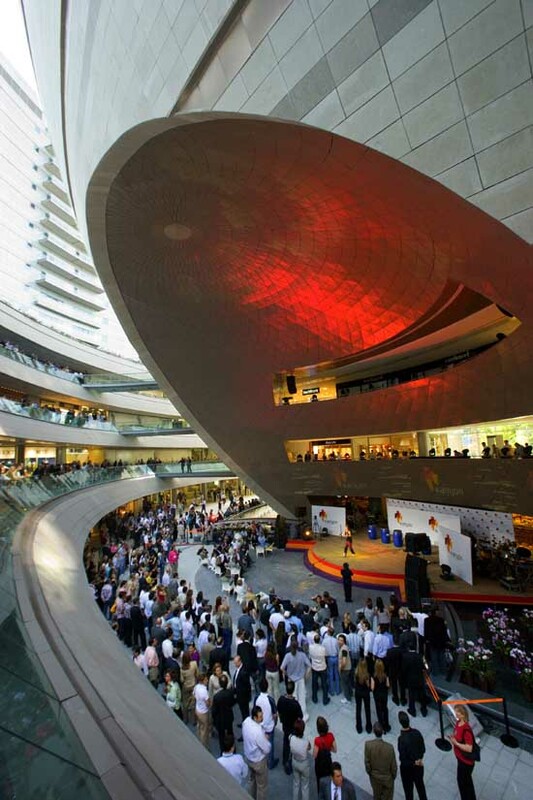 It is a very lightweight structure that can be easily assembled. 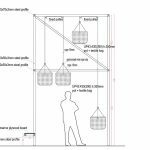 The mechanism that lets the hanging pots move up and down, is a simple pulley system. Since the pots are equally weighted, they remain aligned when in balance. If a visitor pulls one of the pots to look at the plant closer, than the equivalent pot is lifted. The pots are made of textile bags. Marine plywood is used for the sitting benches.